Hundreds of thousands of Rohingya Muslims are threatened by an increase in sectarian violence. Will the people of Myanmar soon have their own derivative for the Nazi term Judenrein? For those who do not know what Judenrein means, it literally translates to "free of Jews", and was the term used by the Nazi administration when they had removed entire Jewish communities from Germany in the lead up to the Holocaust. As so many Myanma shamelessly support the government and local authorities' ongoing ethnic cleansing of the Rohingya people from Western Myanmar, it might not be too long until we see "human rights defenders", and "political activists" running around the streets of Myanmar shouting: Rohingya-Kin-Zone ["Rohingya-clean area"]) or Bangali-ma-shi ["No Bangladeshis"]. It took one horrific reaction to one abhorrent incident to ignite a riot and expose the true depth of racism and xenophobia in Myanmar society. After three Rohingya men raped a young Rhakine Buddhist woman, ten Muslim pilgrims (not Rohingya) were dragged off a bus and violently beaten to death - seemingly in retaliation. Five days later, hundreds of Rohingya men gathered outside a mosque after prayers. What happened next is unclear. Some say the Rohingya planned an attack on Rhakine communities in retaliation for the killing of the Muslim pilgrims; others say an argument started with Rhakine people after a minor traffic accident outside the mosque. Whatever the cause, hundreds of Rohingya ended up running through dozens of Rhakine villages, burning houses down, looting and badly beating Rhakine people, some to death. "As could be expected, the Rohingya communities blame the Rhakine, and the Rhakine blame the Rohingya. Both sides are trying to paint a picture that they were just innocent bystanders, slaughtered by the other side." As could be expected, the Rohingya communities blame the Rhakine, and the Rhakine blame the Rohingya. Both sides are trying to paint a picture that they were just innocent bystanders, slaughtered by the other side. Sitting through an interview with activists from either community is approaching excruciating, with neither unable to rationally blame their own community, and subsequently unable to provide logical solutions to prevent the violence taking place again. It is clear both sides are guilty of atrocities. What is also clear, however, is that within a riot - based on myths, and decades of inter-communal friction - hides a renewed push to continue the military's ethnic cleansing campaign of the late 1970s. Soon after the riots began, a state of emergency was ordered, and an all-day curfew put in place. However, sources within human rights groups soon to publish an official report on the matter say the curfew only applied to the Rohingya, who were forced to stay in their homes, while Rhakine groups, hell-bent on retaliation, made the most of the chaos to drive Rohingya communities out of the region, teaming up with local authorities with similar aspirations. It is alleged that the combined Rhakine-extremists-local-authority-forces burned down Rohingya villages, beat men to death, looted homes, and raped women. While the military has been praised for stepping in and quelling the violence in some districts, the local authorities, police and Rhakine vigilantes - apparently eager to rid the area of Rohingya communities - have allowed the situation to develop, with national security forces reportedly carrying out what appears to be, in my opinion, a form of state-sponsored ethnic cleansing. It is believed that hundreds, if not thousands, of Rohingya men have been arrested, many feared dead. Countless more have been reported missing and have not been seen since the conflict erupted. With the backing of the state political party, the Rhakine Democratic National Party (RNDP), Nasaka - the border guard force - and police appear to be conducting an unprecedented campaign of harassment, torture, and oppression on the Rohingya people. For days, reports have been circulating of family lists - Rohingya families' only proof of state registration - being confiscated, with influential and educated Rohingya families reportedly beaten and forced out of the country, while holes are being made in the border fence to give the Rohingya a quick exit from the oppression. While arrests have been made of Rhakine people, it appears the Rohingya are being overwhelmingly punished for the riots, through massacres, torture and indiscriminate arrests. And while it is difficult to confirm information during such a blackout, and hard to believe the new "reformist" government could be behind such a serious atrocities, President Thein Sein's press release last week certainly made the reports more believable. For some, it has also roused suspicions that senior figures in the military allowed, and at the worst, supported the violence, in order to regain national support and take focus away from the conflict with the Kachin, as well as distracting from serious poverty issues across the country. "It is impossible for Burma to accept people who are not ethnic to the country and who have entered illegally." After a long silence, Myanmar's Presidential Office recent anouncement surprised and shocked people around the world. "It is impossible for Burma to accept people who are not ethnic to the country and who have entered illegally," the statement read, going on to offer the Rohingya people to the UN. They suggested the Rohingya should be put in camps for a year, at which time they could be taken to a third country. The UN, quite rightly, were quick to reject Thein Sein's kind offer, explaining that communities cannot be repatriated from their own country. While the UN may have, for now, endorsed the Rohingya presence in Myanmar, the government's intentions were made very clear to the world. It was the most transparent, clear cut message that the Myanmar government is now hell-bent on ridding Myanmar of the Rohingya people by any means possible. International attention is desperately needed to find out what is really happening in Rhakine state. If the government cannot get "legitimate" assistance from the UN to push out the Rohingya communities, then impartial observers need to be deployed to the region immediately, to prevent the government and Rhakine extremist groups forcing Rohingya people out of their homes, off their land, and into life-threatening camps. Since the riots began, the authorities ordered all international NGOs to pull their staff out of the region. Dozens of local NGO staff have been arrested, and hundreds remain out of contact. While no one knows why NGO staff are being detained, it is widely believed it is for distributing information during the riots. Probably charged using the same draconian laws that have been used to prevent activists from informing the international community of the regime's human rights abuses and oppression in previous decades. The north of Rhakine state, where it is estimated more than 700,000 Rohingya live, has effectively been turned into a complete blind spot. Speaking with NGO coordinators over the past week, there are some eerie reminders of conversations with the same people during Cyclone Nargis. After the cyclone hit, affected communities could not be contacted. NGOs were initially heavily restricted, as were local aid workers. Within weeks the official death toll leaped from a few dozen to more than 134,000 people. Those who spread information to the international community were arrested. And now, once again, NGOs are unable to access the most critical regions, stoking fears throughout Myanmar's NGO community. The world may wake up one day to find that yet another preventable humanitarian crisis has taken place. "The heavy rains are likely to increase the spread of water-borne disease and it is believed that diarrhoea and malaria are already increasing rapidly. With high food prices, no work, and restrictions on leaving villages and IDP camps, there is a great risk that many could starve to death." Rhakine state is one of the largest operations in the world for NGOs. Extremely poor, it already suffers from high disease rate and malnutrition. Now that NGOs are unable to work, many are concerned that starvation and disease could ravage the Rohingya communities in coming weeks. The heavy rains are likely to increase the spread of water-borne disease and it is believed that diarrhoea and malaria are already increasing rapidly. With high food prices, no work, and restrictions on leaving villages and IDP camps, there is a great risk that many could starve to death. If the government continues to prevent NGOs from getting in, and information getting out, it would be reasonable to assume that this is part of a state policy to drive the Rohingya people into a humanitarian crisis. There is one very disturbing difference between the humanitarian crisis which unfolded after Cyclone Nargis and now. While all the people of Myanmar - including political activists, ethnic leaders, migrant workers and civil servants - made efforts to curtail the suffering of those affected by Nargis, this time, people, some ignorantly, are condoning the dispossession of the Rohingya. While the nation lambasted the government for its slow response to Nargis, and the subsequent unnecessary loss of life, people from all spectra of Myanmar society are fully behind the government's desire to drive the Rohingya out, completely regardless of whether thousands of innocent people could lose their right to a family, to a home, and to a life, in the coming weeks. How ironic. For years these "human rights defenders" and "political activists" have fought against the state military, tirelessly risking their lives to expose injustice and human rights abuses. The moment the country starts to reform, they completely forget about the atrocities the military has committed, and come out with statements condoning decades of oppression and harassment of the Rohingya people. Prominent student leader, Ko Ko Gyi, said: "The Rohingya people are not an ethnic group of Burma and they are invading our country and sovereignty." These are not the words of a human rights champion; they are words which could have been muttered from the former regime leader, Than Shwe, who put Gyi in prison for nearly two decades for his political beliefs. Inside Story: What is behing Myanmar's ethnic unrest? It was General Aung San, the father of democracy icon Aung San Suu Kyi, who said that all those in the country at the time of independence could consider themselves citizens. During Myanmar's first democratic period, under U Nu, there were four Rohingya MPs, and Rohingya was a recognised ethnicity. It was not until the first military dictatorship, under Ne Win, that the Rohingya were denied Myanmar citizenship. Those in the democracy movement, who now say the Rohingya should leave Myanmar, are going against Aung San, U Nu, and siding with the military dictatorship they have been struggling against for years. Ironically, days after receiving a Nobel peace prize, Suu Kyi told reporters she "did not know" if Rohingya were "Burmese". What a disgrace. Suu Kyi is, by not speaking out, also condoning the very military oppression she has spent years fighting against, and in three words completely turning a blind eye to the human rights abuses she would be a fool to not know will subsequently be committed. Perhaps instead, some leader, some democracy champion, supposedly such as herself, would stand up and say: "Rohingya people have been in Myanmar for, at the very least, 60 years. Whether they are an ethnic group or not, it doesn't matter, we must protect their human rights; racism and xenophobia are wrong and are constructs and rationale of the military dictatorship propaganda designed to divide and rule Myanmar's people. We must make sure riots never take place in Myanmar again, through understanding and reconciliation between all communities." The main source of concern for the countless people of Myanmar who believe the Rohingya should be taken to a third country stems from a very few, tiny radical Rohingya armed groups which have emerged, and disappeared, over the years. Despite the concerns, there was never a threatening armed revolt, and their influence was minimal. To make 99.9 per cent of the Rohingya population suffer, for a few individuals, or groups, is wrong. Most Rohingya hope for nothing more than to live in peace in a land they have known all their lives. The other notion is that the Rohingya are invaders - there is an idea that hundreds of Bangladeshi are flocking into Arakan state every day. In reality, this is completely nonsensical. Arakan state is horrendously poor, which is why countless Rohingya have fled Myanmar since Ne Win took power, and following several state offensives to drive the Rohingya out of Myanmar. There is a thin line between ethnic cleansing and genocide. Hitler carried out ethnic cleansing on Jewish communities for years before he attempted genocide. 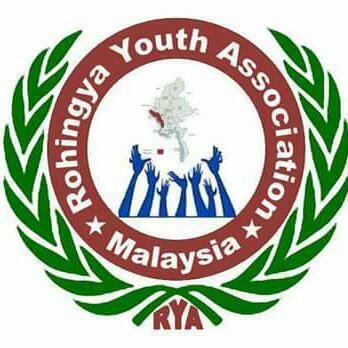 With the whole country, including the democracy movement, seemingly behind the government's plans to expel the Rohingya, urgent intervention is needed to save the Rohginya from a humanitarian crisis, and the potential for a violent campaign by the state, alongside Rhakine extremists backed by local authorities. The two communities should not be separated as the government plans; instead there is an urgent need to bring the communities back together, and return the region to normality. Conflict resolution programmes and development is needed as soon as possible. The longer the two communities are apart, the more radicalisation - of both groups - will fester, and whether the government allows it to take place, supports it, or just turns a blind eye, a return to some form of violence will be almost inevitable. Now is not the time to argue about century-old history, or the origin of the word "Rohingya", nor is it the time to discuss when the Rohingya arrived in Arakan state. 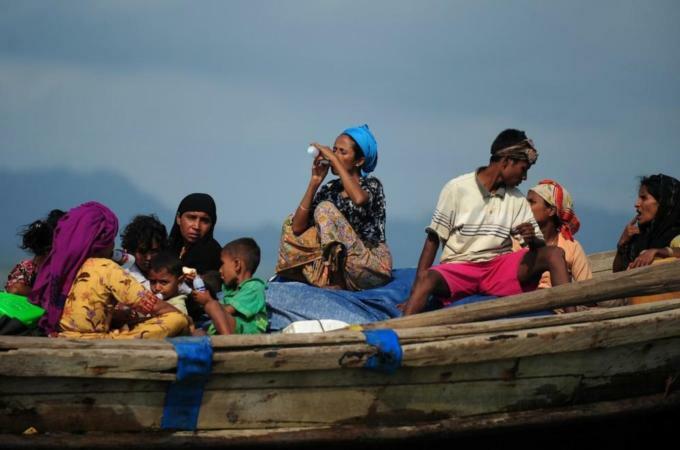 The nation's people should accept the Rohingya are not going to just be shipped off to another country. Instead of inciting counter productive anti-Rohingya campaigns, Myanmar's democracy activists, human rights defenders, and vibrant civil society, should immediately address the impending humanitarian crisis and potential devastation of the Rohingya people. There is no doubt that some Rohingya are guilty of terrorising Rhakine people during the recent riots, but this does not mean that hundreds of thousands of Rohingya, including countless women and children, deserve to starve to death, or be driven off a land they call home. William Lloyd George is a freelance correspondent focusing on under-reported stories around the globe. William Lloyd George is a freelance journalist.